Job interviews allow employers to gauge whether or not you are the right person for the job and how well you would fit within their team; do you as an individual reflect the level of professionalism in your CV and more importantly, are you actually able to perform in the role for which you are applying? Similarly, they also provide you with the opportunity to find out more about the organisation and assess the culture within the company. 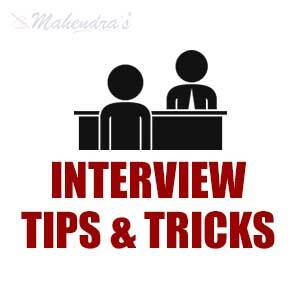 As part of every job interview, the interviewer will ask you a series of questions. These may be straightforward or they may be very specific to the role in order to assess your competency. Towards the end of an interview you will almost always be given the opportunity to ask some questions of your own. The answer to a potential employers; “do you have any questions?” should always be a confident “yes I do”. Even if everything you thought you might like some further information on was covered, have some additional questions prepared and ready to fire back. Asking questions during an interview will not only give you answers, it demonstrates you have initiative and that you have enthusiasm for both the position and the company, which is sure to impress any employer. Top candidates will always be searching for a company that offers them a positive working environment and runs a management structure they work well within, therefore they will always try to acquire as much information about the role and organisation as possible. Below are some examples of the type of questions you should be asking during your next interview. Be sure to listen carefully during the interview in case your questions are answered. Asking for clarification or further information on something that has already been covered is great but asking a question that has already been covered will not reflect well. 1. How is performance measured and how often is it reviewed? This will give you an idea of whether the organization offers internal training to employees to improve their skills, if the organization does, then it is an advantage since everyone seeks to progress in their career. 2. What are the key challenges of the role, particularly in the first six months? This will give you a rough idea of the challenges you expect in your role, it is wise to be fore armed about what you are getting yourself into.it will help you to come up with initiatives that will make you have a smooth transition. 3. How many people are in my team and what are their roles? 4. What benefits are offered to employees? This is all about the perks that come with the job. It could be a car, house allowance, Insurance covers, commission etc. This will be a guide on how to budget your salary. 5. How would you describe the culture of the company? The culture of the organization assists you in a way that will help you cope with colleagues; every company has traditions that have been set up by employees and even the management. Remember, you want the job, so be sure it comes across in the interview. Be proactive in the interview, sell yourself to be the best person for the role and then ask questions to find out more.